U.S. Secretary of State Mike Pompeo said he is "counting on" a second summit between U.S. President Donald Trump and North Korean leader Kim Jong-un despite an apparent stalemate in talks between the sides. Pompeo told National Public Radio in an interview Thursday that there's been "some progress" in efforts to rid the North of its nuclear weapons and ballistic missile programs. And while there is still a long way to go, the secretary said he never expected the issue to be easy or resolved "like instant pudding." "It's been a great process. They're not firing rockets. They're not conducting nuclear tests. We have a ways to go, and we will continue to work to achieve the president's agenda," Pompeo said. 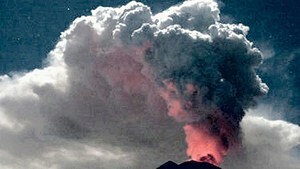 On a possible second summit, he said, "I'm counting on it." Trump said early this month that he expects to meet Kim in January or February. 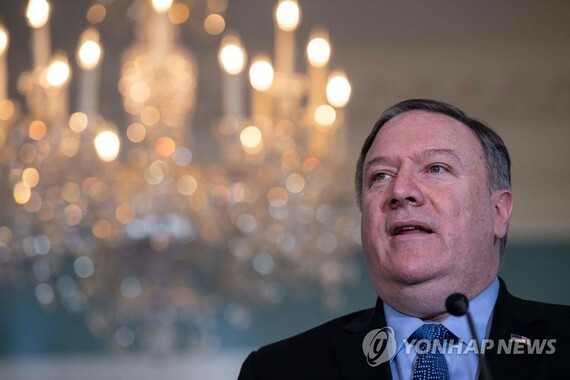 Pompeo has repeatedly voiced hope that a second summit will materialize even as the North Koreans have been reluctant to come out to talks. Last month a senior North Korean official was due to meet Pompeo in New York, but that meeting was called off at a day's notice. In the meantime Pyongyang has increasingly demanded reciprocal measures from Washington for its dismantlement of a nuclear testing site and return of American soldiers' remains from the 1950-53 Korean War. Trump and Kim held their first summit in Singapore in June and committed to work toward complete denuclearization of the Korean Peninsula in exchange for security guarantees from the U.S. This week North Korea argued that the joint statement called for denuclearization of the Korean Peninsula, not just the North, and hence the removal of "all elements of nuclear threats" from South Korea as well. In terms of the threat, it alluded to U.S. troops in South Korea and U.S. nuclear assets deployed to the region. There are no nuclear weapons in South Korea. Occasionally, the U.S. flies nuclear-capable bombers, some based in Guam, near Korea as a show of force. U.S. Special Representative for North Korea Stephen Biegun was in Seoul this week to meet with South Korean officials and discuss their next steps on Pyongyang. In what was seen as an olive branch, the envoy said the U.S. will review a travel ban on the North to ensure Americans can deliver humanitarian assistance to the impoverished nation. Pompeo was guarded against it being interpreted as a concession to the North. "You're suggesting to your listeners that somehow we're relaxing the economic sanctions campaign. Nothing could be further from the truth," he told his interviewer. "The truth of the matter is that we are very consistent with what we've done before, making sure that where there is real need, real humanitarian need there, that we don't deny that to the people of North Korea. And sometimes it takes getting an American to be able to travel in there to achieve that, and where that's the case we want to facilitate that."